Standard:1x54w, 2x54w. Other specs available. 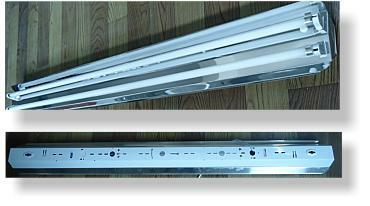 Like all our light-products we make sure that the maximum light-output is created from the minimum electrical energy. 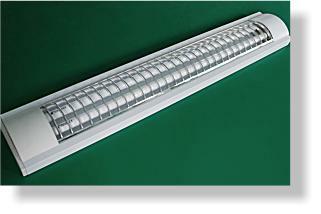 Our ballasts feature advance ballast control, for example tubes are started gently with a preheat system. Tubes are not obscured by inefficient diffusers. 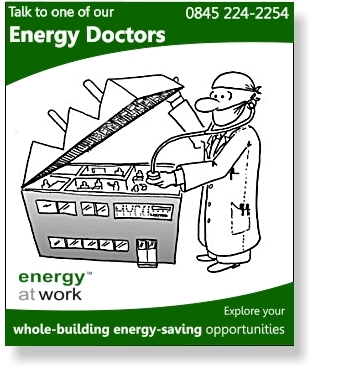 Like all our light-products we make sure that the maximum light-output is created from the minimum electrical energy. Our ballasts feature advanced control. Tubes are not obscured by inefficient diffusers. 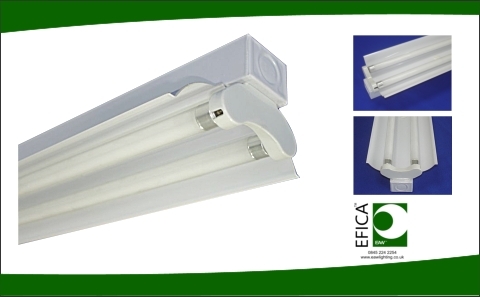 For example if you replace one T12 8ft tube (consuming about 120Watts inc ballast) with one Efica 2x28Watt fluorescent fitting, power reduces by around 55%. 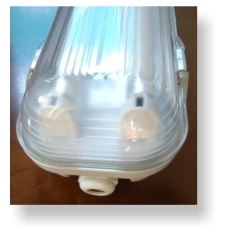 HF ballast provides advanced pre-heat warm-start, so tube-life is good - these fittings are suitable for areas with presence-detection (eg PIR) or timers because these would significantly reduce the life of a standard T8 light-fitting with magnetic-ballast and a starter. 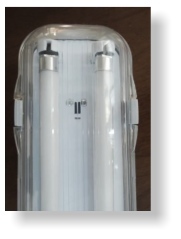 *When new T5 tubes are not as bright as the equivalent T8 tube, but they remain brighter longer so after time the decay in light-output of a T8 tube can reduce to the same level as a T5 tube. 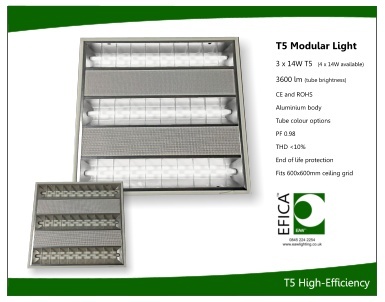 For maximim light-levels select a T5 light-fitting which has a bright reflector. Not for continous use over 45degreesC as this can affect the life of electronic ballasts.